Start gearing up for holiday shoppers! 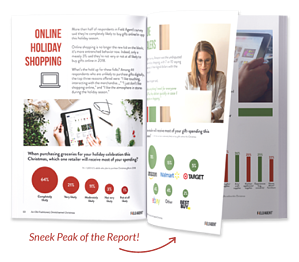 Packed with 30 pages of insights, Field Agent’s 2018 holiday report, “An Old-Fashioned, Omnichannel Christmas,” is now available for free download. This fun yet authoritative report offers an in-depth look at holiday shoppers and their 2018 plans and attitudes—so you can prepare for the coming spending frenzy. Where do holiday shoppers expect to purchase their gifts this year? What are they likely to purchase for their kids and spouses? What are their top gift wishes for 2018? How will online shopping, app-usage, and store pickup factor into holiday shopping this year? “An Old-Fashioned, Omnichannel Christmas” cuts across numerous categories, offering insights on toys, electronics, greeting cards, groceries, candy, alcoholic beverages, pet supplies, and more. This year’s holiday insights report also includes a special feature, “Inside the Minds of Holiday Shoppers.” It’s a look at holiday shoppers' top frustrations and priorities when buying Christmas gifts. 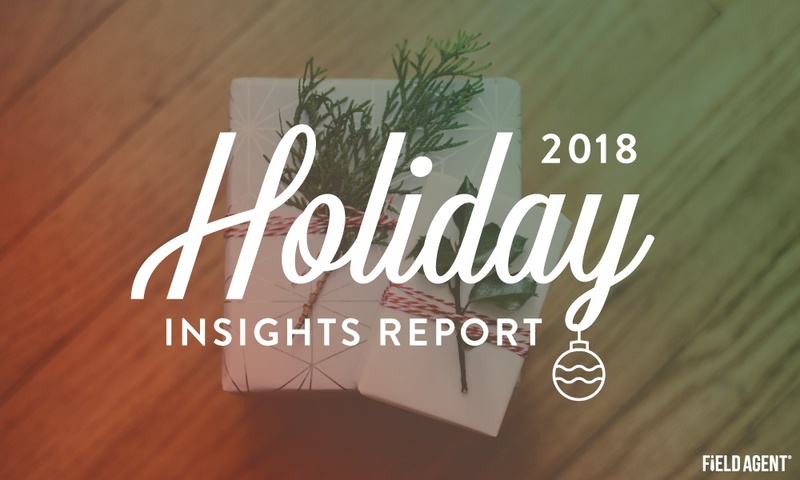 Click below to download Field Agent’s 2018 holiday insights report, and start getting acquainted with this year’s holiday shoppers. Holiday Retail Checklist: Is Your Brand Ready for Holiday Shoppers?